Darrell's Seafood Restaurant is located in Manteo, NC on Roanoke Island. 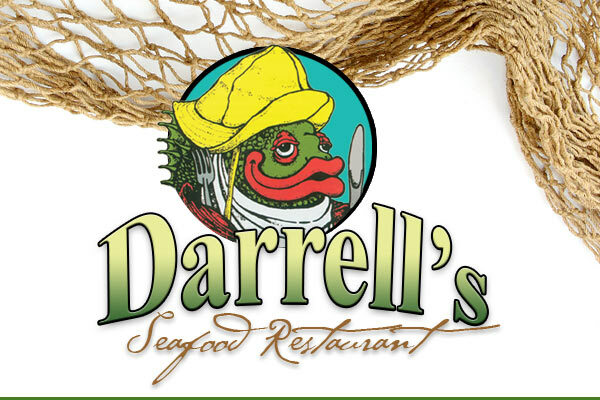 Operated by the Daniels family for more than five decades, Darrell's is a family-style seafood restaurant that's been a favorite since 1960. Seafood is our specialty; the fried oysters are widely regarded as the best around, served with the traditional fixings of coleslaw, French fries and hush puppies. But there’s much more. Darrell's has a wood-fired grill for barbecue and many other options for the land lovers. Both a children's menu and lighter fare options are also available. Darrell's helpings are generous – you won’t leave hungry, and our desserts are homemade and delicious! Be sure to save a little room. Outer Banks visitors and locals agree that Darrell's does seafood right. Come see for yourself! Join us for breakfast, lunch and dinner; all served every day except Sunday. Darrell’s also has a second location, Darrell’s 2 BBQ & Seafood, at Outer Banks Mall in Nags Head. If you’re planning a special Outer Banks event or simply feeding a crowd, Darrell’s offers a family-style takeout menu. We also offer both on- and off-site catering for groups and events of 20 people or more. Please call ahead for large orders or to plan your catered event.